Adjusting conforming mortgages are adjusting to as low as 3 percent. If you have one, should you let your rate fall? Or refinance out? 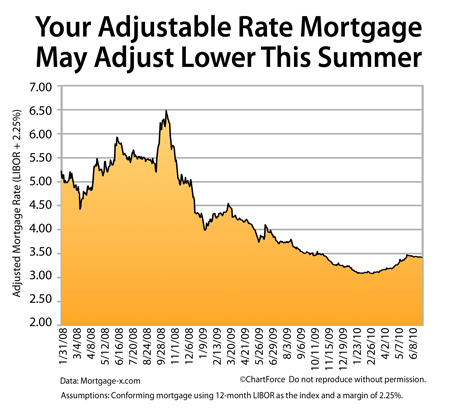 If your adjustable rate mortgage in California’s Inland Empire is due to adjust this year, don’t go rushing to replace it just yet. Your soon-to-adjust mortgage rate may actually go lower this year.